Wide sleeves, wide legs...apparently that's the way I like it. I felt like I was pulled straight out of the 70's in this look and I was lovin' every minute of it. I was born in '78 which was apparently 20 years too early...dang! This entry was posted on Thursday, October 8, 2015. You can follow any responses to this entry through the RSS 2.0. You can leave a response. I love your flared outfits, you have a few here on the bloggy and I am always drooling extensively at your awesome flared jeans. I need a pair exactly like that!!! GIMME! Straight from the 70's but so modern and chic. thanks for sharing! 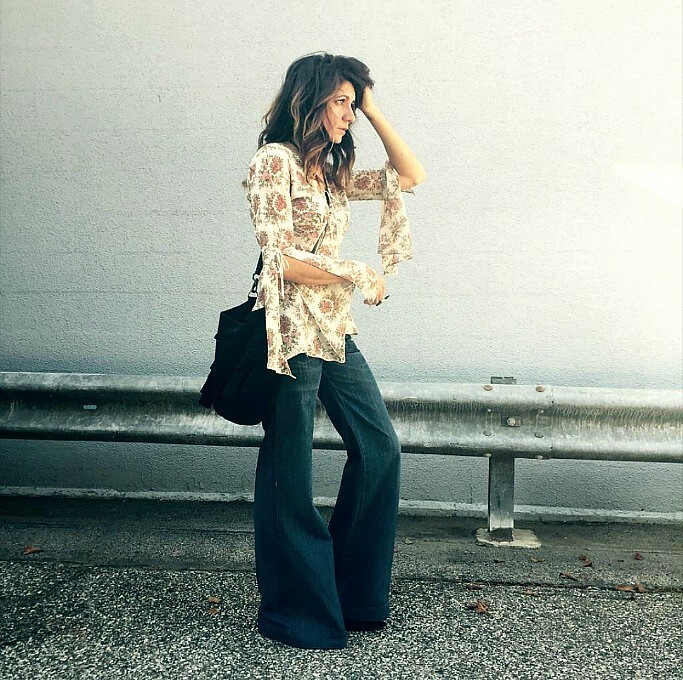 You're my muse for the cool & chic 70s vibe! I love your old-school outfits, especially this 70's one. Flare jeans work best with you. Great outfit! Amazing outfit. I think sometimes it doesn't matter which year it is. If you look this good with wide legs jeans then wear them whenever you want!